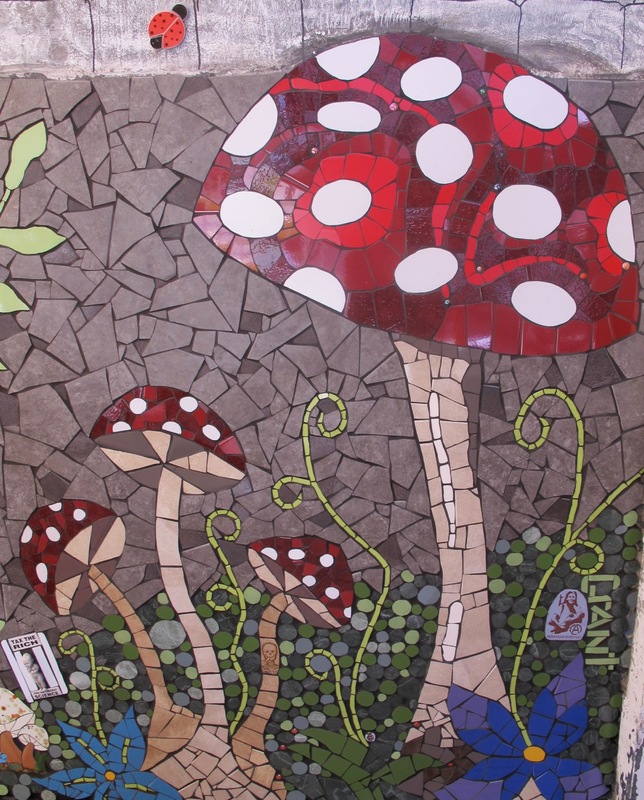 It’s been a while but I finally did it – I spent the entire weekend in my studio making mosaics. I am SO happy!! There were no (OK very few) facebook interruptions or any others for that matter. 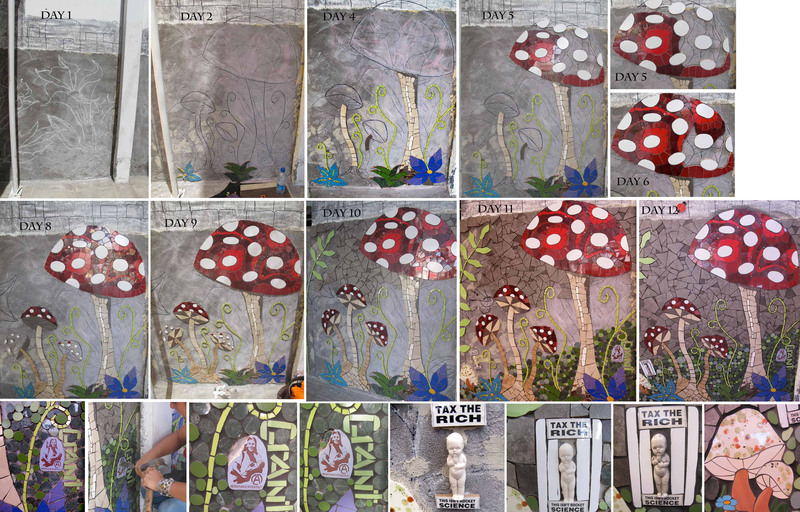 I can’t remember the last time I managed to do this… So after a long time of not really making anything, in the last week I’ve managed to finish four mosaics and get a good start on another – a trade with an artist living in Chicago. It’s been ongoing for I don’t know how long because I’ve just been too busy and/or not feeling particularly motivated. So, yay me. 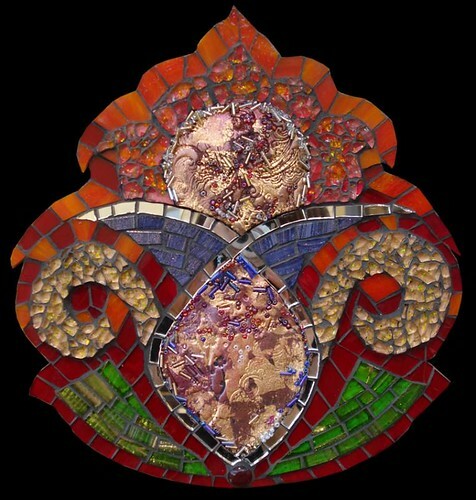 I’ve been meaning to make a few of the same mosaics for my classes. I made five – damn good seeing as I really dislike making the same thing over and over! It is to show how choice of opus and grout can completely change the vibe of a piece… Happy that they’re done, after a good year or more of talking about it. I think it’ll help with my classes – being able to physically see and feel a mosaic is not the same as a photograph. A new series of work, at least I hope it will become a new series, haha!! 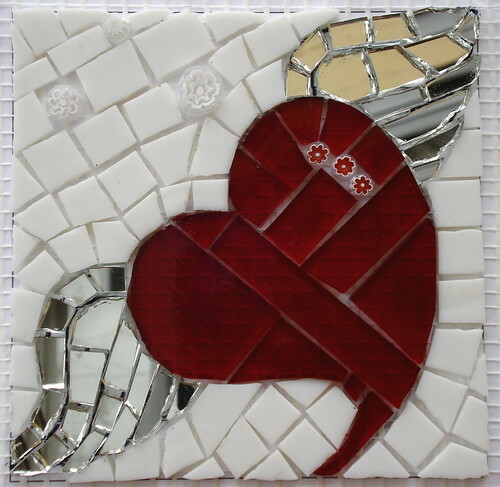 I also have to get it together to create a body of work to go in a local tile shop – pretty exciting! There are still the murals for my home – I have the designs for them all, the tile, the know-how, just not the time. Time to pull my finger out I think. The MANNZ Symposium was on this weekend in the Barossa Valley. Wonder how it went? !